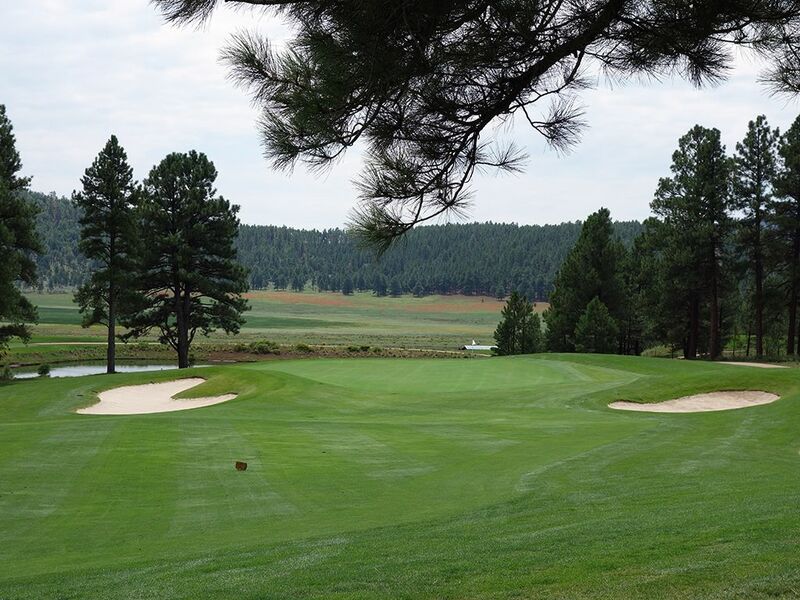 Course Website: Official Website - Visit Flagstaff Ranch Golf Club's official website by clicking on the link provided. 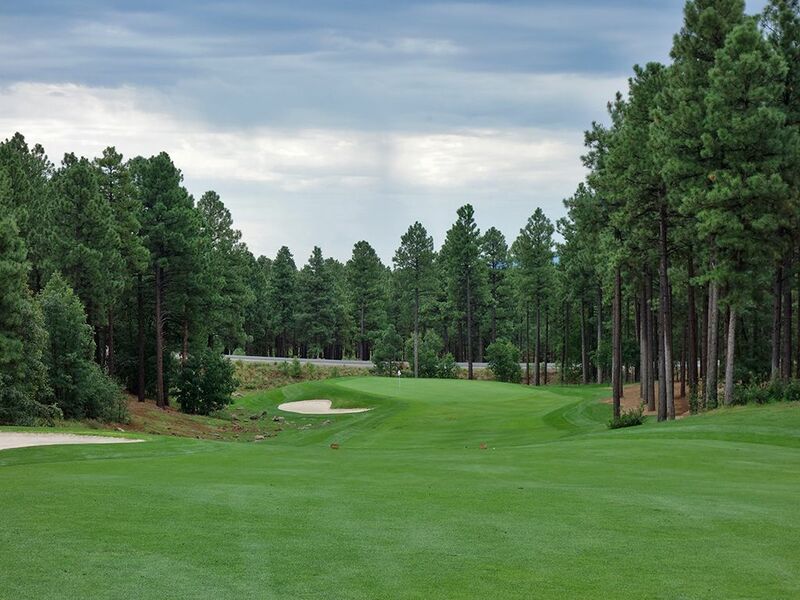 Accolades: Ranked 18th in Arizona on Golf Course Gurus' Best in State list. 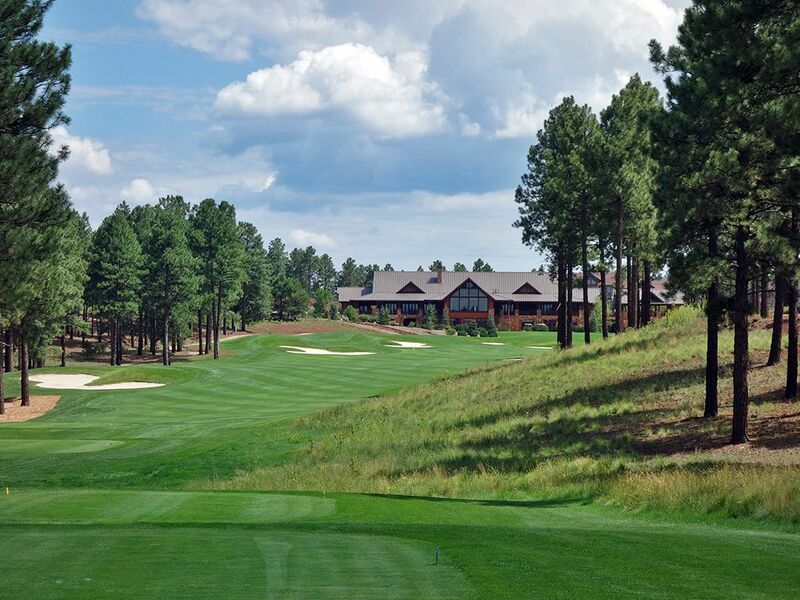 What to Expect: Located just southwest of the I-40/I-17 intersection, the conveniently located Flagstaff Ranch club is a Jerry Pate design set at 7,000 feet elevation and carved through the abundant pine trees the area is known for. While the trees frame the holes nicely, the course could benefit from thinning them out and creating more expansive vistas coupled with allowing in additional sunlight and increased playability when hitting a ball wide of the short grass. The overall topography is quite undulated with some large elevation changes that combine with the thin air to create some long drives off the tee and less distance to cover than the scorecard indicates. The routing takes players through an upscale development that features mostly second homes with wood exteriors that fit in nicely with the heavily wooded area. 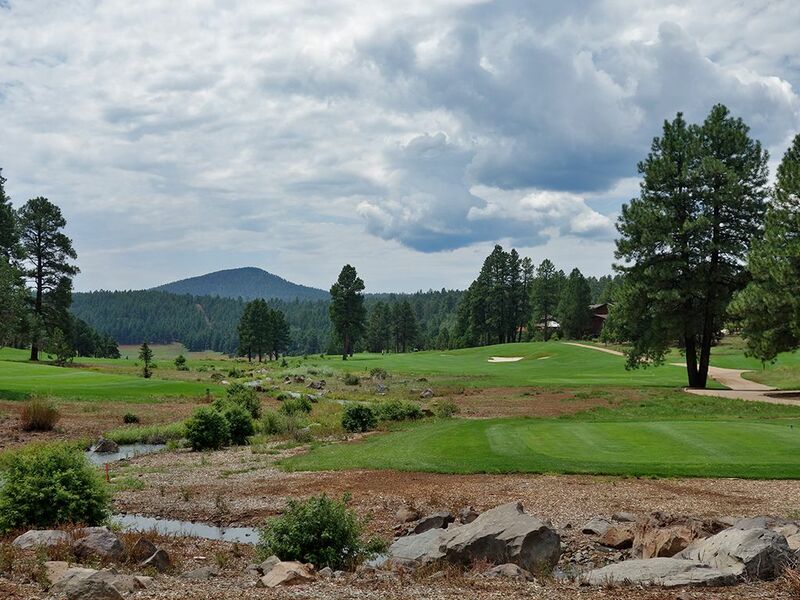 While the visuals are dominated by grass and pine trees, there are moments where the mountains in the distance create an impressive backdrop to enjoy which celebrates the high elevation location Flagstaff is so well known for. 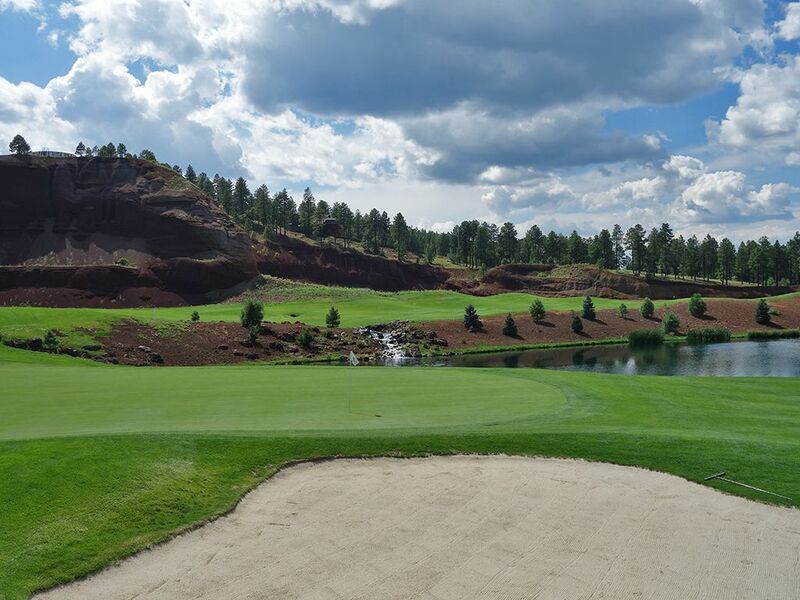 Overall, conditioning and the individual hole designs are solid but offer little to get super excited about from an architectural standpoint which will keep Flagstaff Ranch from being well known nationally but is good enough to be celebrated as one of the better courses in Northern Arizona. 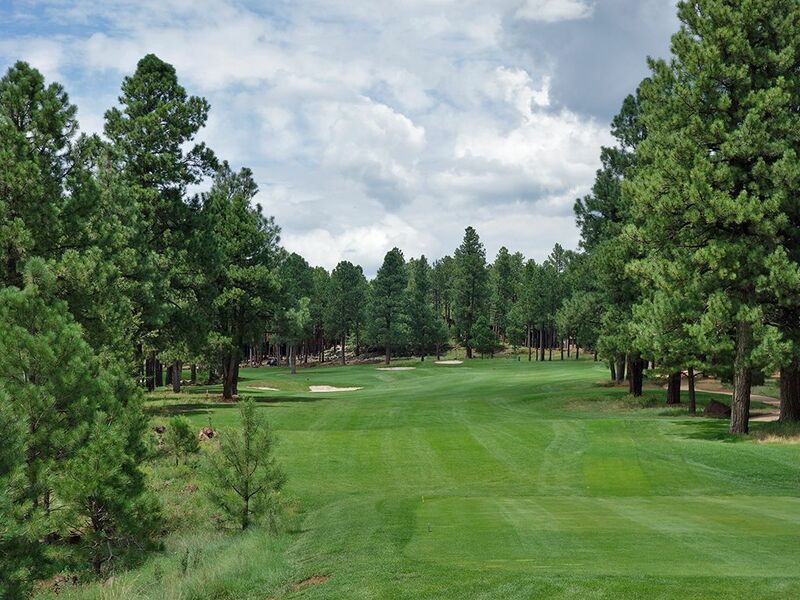 Signature Hole: 1st Hole – 454 Yard Par 4 – Flagstaff Ranch kicks things off with a bang on this downhill par four that drops 90 feet from tee to green. Sitting at over 7,000 feet elevation this is an opportunity to really watch your ball fly if you play aggressively. The conservative play is 225 down the fairway which plays to the fattest part of the fairway and stays short of the bunkers on the left side of the hole. However, you are going to be left with another 225 in from here so if you have confidence in your driver take a rip with it and watch it tumble seemingly forever down the short grass and set up a nice birdie chance with a short approach shot. A hazard awaits on the left side of the raised green and presents a brutal up and down scenario, so if you are going to miss the green with your approach make sure it is short or slightly right. Best Par 3: 17th Hole – 239 Yards – A 40 foot drop in elevation awaits on the lengthy 17th. The thin air and drop from the tee help the hole play well short of the actual yards but the real test is with accuracy. 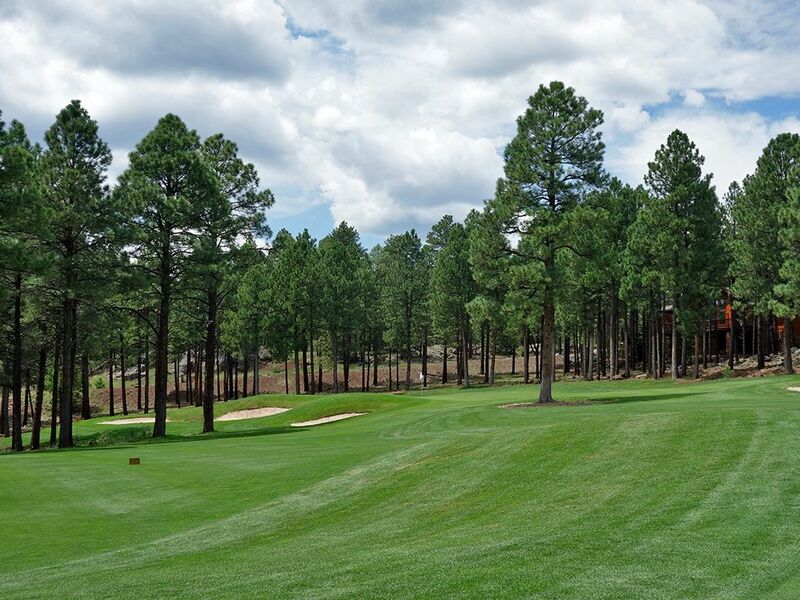 A pair of towering pines blocks the right quarter of the green while bunkers shield the left third. A tee shot just inside the trees on the right offer the most forgiveness depth wise and can utilize the natural terrain to get a little kick to the left if your ball comes up short. 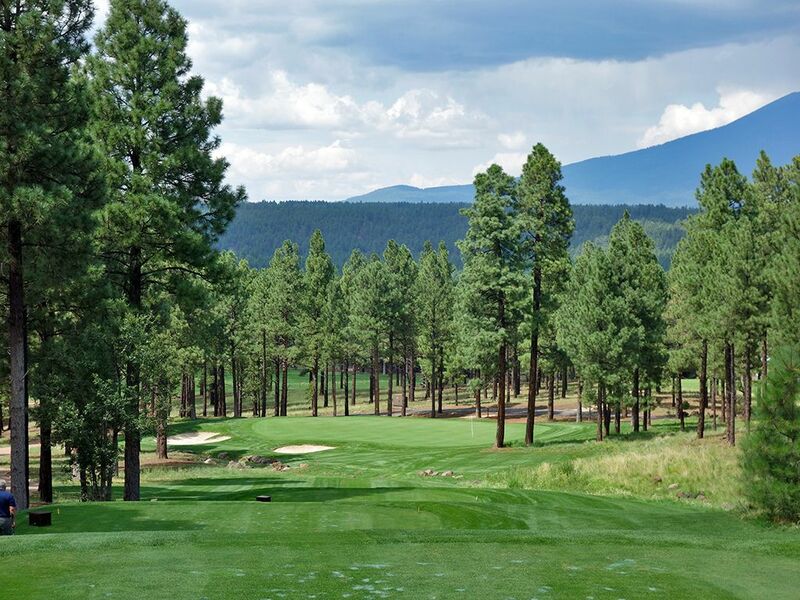 With tree covered mountains creating an impressive background, this is one enjoyable tee shot to hit. Best Par 4: 8th Hole – 384 Yards – An interesting tee shot presents itself on the 8th hole. The fairway up the left side gets slower tighter the closer to the green you get while the right side features a couple of tree patches that come into play and tighten some landing zones and open up others. Drives over 285 yards will reach the tightest part of the fairway which squeezes down to 12 yards at one point so pick your poison on how much club to take off the tee. The approach shot plays to perhaps the most intriguing green complex on the course with a raised putting surface with a Redan effect that allows you to work the ball from the high right side down to the lower left side while left of the green is protected by a steep edge and deep bunker. Best Par 5: 18th Hole – 536 Yards – The closing hole is a solid risk/reward opportunity to conclude the round. The hole climbs 30 feet from tee to green and features a tee shot that needs to split a pair of bunkers in the driving zone; the one on the left is in view while the one on the right is hidden behind a hill. Beyond the bunker on the right awaits a pond where tee shots over 290 yards will end up in a watery grave on that line. A successful drive will certainly set up an opportunity to reach the green in two where a towering fade is the ideal play that starts at the trio of bunkers on the left and cuts into the green at the ideal angle to maximize the landing area on the putting surface. Balls that sail right of the green will forever be lost in the neighboring pond so you are safer missing left and taking your chances of avoiding one of the bunkers. At just 536 yards, this par five presents a good chance to card a birdie on your way to the parking lot. Birdie Time: 11th Hole – 329 Yard Par 4 – After a bogey hole, Jerry Pate gives you a chance to get that stroke back with a driveable par four. A late dogleg left, this hole is reminiscent of the 10th at Merion's East course that will richly reward a baby draw off the tee. The hole climbs about 40 feet uphill enroute to the green, but if you can bomb a drive over the bunker on the left side or hit a baby draw off the tree fronting the green then you'll have a great chance of chasing your ball up onto the putting surface. 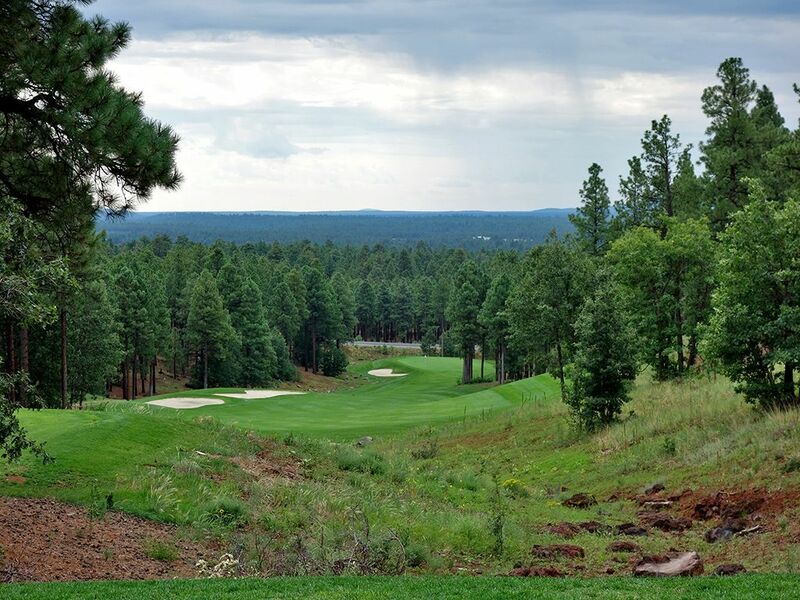 In fact, a ball straight at the green needs to go just 290 yards from the tips to reach the front edge of the green which is doable when playing at 7,000+ feet elevation. Bunkers consume the left side of the green while playing to the right of the green can allow you to work the ball down to the putting surface and possibly go where eagles dare. 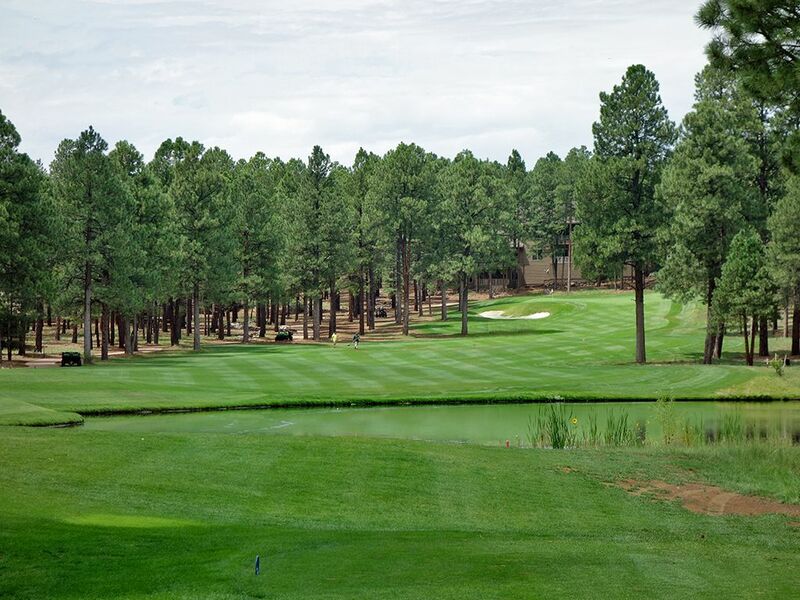 Bogey Beware: 10th Hole – 457 Yard Par 4 – One of the most difficult drives at Flagstaff Ranch is presented on the opening hole of the back nine with a creek running the entire left side and bunkers hunting the right side. The fairway tightens to a meager 20 yards about 140 yards from the green and some trees peppered along the left side of the fairway can require you to work the ball if you end up too far on that side of the hole. The best way to avoid bogey is to stay up the right side where less trouble exists on the approach shot, but that is still no guarantee to avoiding a scar on this brute.